The town is situated at the confluence of the River Corve with the River Teme. The oldest part is the medieval walled town, founded in the late 11th century after the Norman conquest of England. It is centred on a small hill which lies on the eastern bank of a bend of the River Teme. Atop this hill is the site of Ludlow Castle and the parish church, St Laurence's, the largest in the county. From there the streets slope downward to the River Teme, and northward toward the River Corve. The town is in a sheltered spot beneath Mortimer Forest and the Clee Hills, which are clearly visible from the town. Ludlow has nearly 500 listed buildings. They include some fine examples of medieval and Tudor-style half-timbered buildings including the Feathers Hotel. The town was described by Sir John Betjeman as "probably the loveliest town in England". 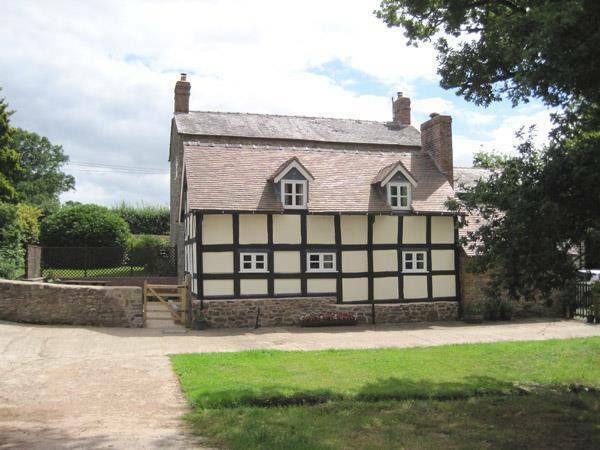 This stunning black and white half timbered holiday cottage situated in the beautiful South Shropshire countryside is attached to the owner's farmhouse. 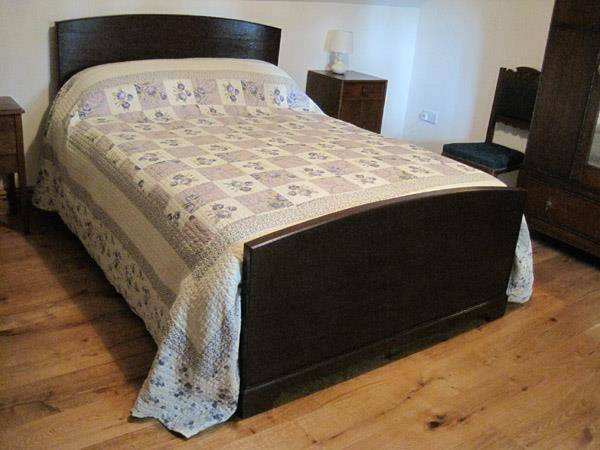 It is located between the villages of Caynham and Knowbury with the historic town of Ludlow only four miles away. Clee Hill is three miles away with breathtaking views to enjoy. Local walks include Caynham Camp, a Bronze Age earthwork which overlooks the medieval town of Ludlow, and the Shropshire Way footpath is very close by. The cottage was renovated in 2014 and has retained it's original features with exposed beams, bread oven, Spice cupboard and an inglenook fireplace with a wood burning stove. 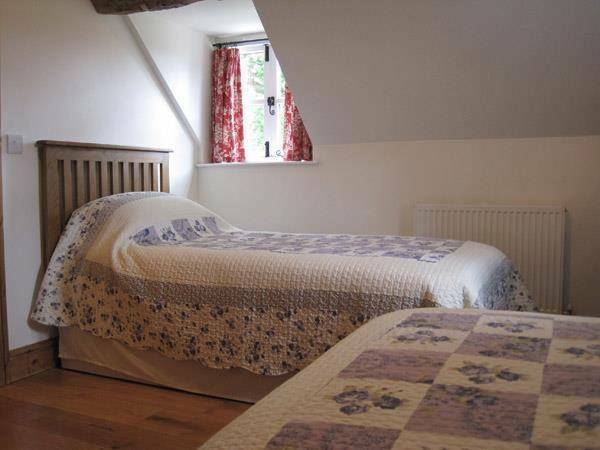 The cottage has been stylishly furnished in keeping with its character. On the ground floor there is a family bathroom and a well equipped open plan kitchen, dining and sitting area. Upstairs there are two bedrooms with exposed wooden floorboards and beams. Outside of the property is an enclosed patio area with garden furniture. The property is not overlooked and there is off road parking for two cars.